David Bedein (born August 31, 1950) is an MSW, a community organizer by profession, a writer, and an investigative journalist. In 1987 he established the Israel Resource News Agency, with offices at the Beit Agron Int’l Press Center in Jerusalem. He serves as Director of The Center for Near East Policy Research. Mr. Bedein has also reported for news outlets such as CNN Radio, Makor Rishon, Philadelphia Inquirer, Jerusalem Post, and the Jewish World Review. For four years, Bedein was the Middle East correspondent for the Philadelphia Bulletin, writing 1,062 articles until the newspaper ceased operation in 2010. Bedein has covered attempts at Middle East negotiations centering Israel—in Oslo, Ottawa, Shepherdstown, The Wye Plantation, Annapolis, Geneva, Nicosia, Washington, D.C., London, Bonn, and Vienna. Bedein was active in the Israeli peace movement for over for 17 years. In the 1980s, Bedein went to Ethiopia as part of a delegation to investigate the impact of the famine on the Ethiopian Jewish community. Most recently, David Bedein's organization has developed Btselem Watch, with its own website whose purpose is to introduce professional criticism and feedback to leading organizations which are described as human rights groups that operate in the political domain. The UNRWA Reform Initiative (U.R.I.) was launched by The Center for Near East Policy Research, which has been conducting news investigations and producing films since 1987. Their current project focuses on policy change at UNRWA, The United Nations Relief and Works Agency. Mr. Bedein has overseen investigative studies of the Palestinian Authority, the Expulsion Process from Gush Katif and Samaria, The Peres Center for Peace, Peace Now, The International Center for Economic Cooperation of Yossi Beilin, the ISM, Adalah, the New Israel Fund, and United Nations Relief and Works Agency for Palestine Refugees in the Near East (UNRWA). 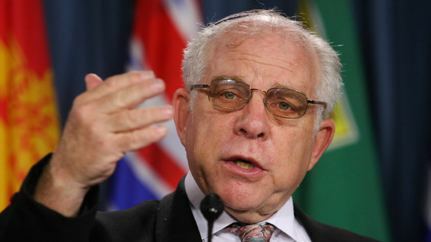 Mr. Bedein has also reported on all of these events and organizations at www.IsraelBehindTheNews.com. Under the Direction of David Bedein, The Center for Near East Policy Research and www.IsraelBehindTheNews.com have produced a number of investigative video productions. In July 2013 they released the film titled "Camp Jihad" allegedly showing activities and interviews in which UNRWA promotes anti-Semitism and incitement to violence in its 'summer camps'. This was not the first time he dealt with this topic. UNRWA released an official rejection of these claims, claiming the summer camp shown, and the people involved are not affiliated with UNRWA. In a November 2013 meeting between US Secretary of State, John Kerry and Israeli Prime Minister Benjamin Netanyahu, parts of this film were shown. A review of Bedein's new book, Roadblock to Peace How the UN Perpetuates the Arab-Israeli Conflict: UNRWA Policies Reconsidered, can be found here  . Bedein has been involved in UNRWA Reform Initiative, which involves requests of donor nations to make reasonable reforms of UNRWA. Bedein's legal counsel articulated these requested reforms in a letter to the British government DFID Agency which helps UNRWA. In March 2014, Bedein participated in an informal panel at the British House of Commons with experts on UNRWA education. Since the publication of Bedein's book, Bedein has discovered several new alleged findings concerning UNRWA, Islamic groups that fund UNRWA, Jews killed Christ in the Palestinian Authority Christian Education Texts Used in UNRWA Schools and UNRWA Child Death Cult Education. Most recently, Bedein presented his latest research to members of the Swedish Parliament on November 18, 2016. He appeared on a local program entitled "Follow the Money: with Swedish journalist Tobias Petterson" Following these revelations, Tobias Peterson took to the Israel Nation News site, Arutz 7, to express his shock over the official Palestinian Authority Ministry of Education textbooks and curriculum. In 1988, the American Broadcasting Company (ABC) filed a lawsuit in Israel for $1 million against Bedein’s company, Israel Resources, after Bedein showed “taped copies of the network’s evening news coverage of the Arab uprising” (First Intifada) at one or more events where Bedein charged a fee for entry. ABC charged that Bedein violated the copyright to the footage by showing the clips. Newscasts drawn from American, Canadian and European television were shown throughout the winter months to demonstrate the disparity between foreign and Israeli coverage of the Palestinian uprising. Showing the tapes to Jerusalem audiences helped lead to outraged charges from many Israelis that the international press was being unfair to their country. Before the foreign television tapes were shown here, Israelis had seen only their own television coverage, which failed to show many of the worst cases of violence. That coverage helped many in this country form their personal impression of what what was happening in the occupied territories. ABC ultimately lost the case in 1992 on a technicality for not being able to prove a corporate link between ABC Inc. and ABC News in a move the Jerusalem Post called “a pity” in an editorial. The Center for Near East Policy Research has been investigating UNRWA for 27 years and has produced documentary films for over a decade, showing activities going on in schools and camps, with interviews from students and staff.